Statistics from DoSomething.org show that nearly 43% of kids have been bullied online and another 70% have seen bullying online. But with only one out of ten victims reporting this type of abuse to an adult, cyberbullying isn’t always an easy problem for parents to identify. 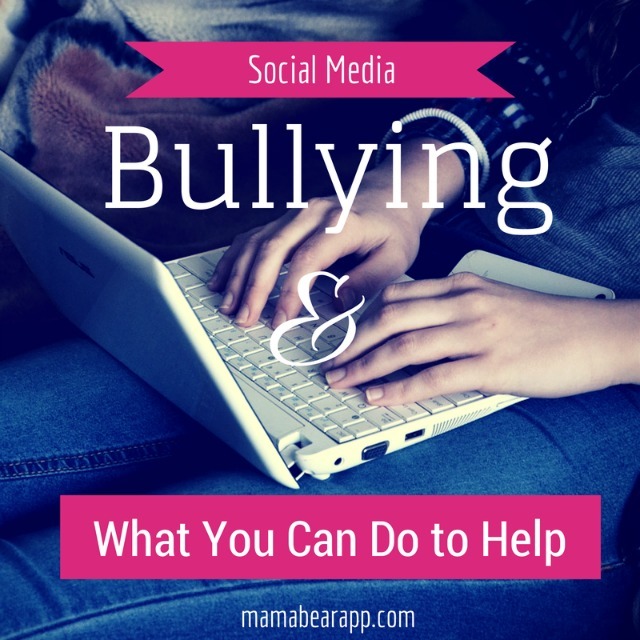 Parents must be proactive and prepared to protect their children from social media bullying. The best way to know what’s going on in your child’s social world is to see it for yourself. Help your kids set up their accounts. Kids want to be independent and sooner or later, they are going to set up their own social media profiles. Instead of waiting for them to sign up, get involved early. Help them set up their accounts, and use that opportunity to tour the site together, set privacy settings and discuss the dangers as well as social etiquette. When you set up their profile, explain you need a copy of their password and username, not because you want to snoop, but because you want to keep them safe. It’s responsible parenting. Make monitoring a habit. Being on the social site yourself and friending or following your children make your presence known as a form of monitoring but also providing a sense of security to your kids. Plus, it will keep you up-to-date on social sites so you are more educated on their trends and purposes. Using third party services like MamaBear App can help save time filtering need to know information with customized word list to monitor with timely mobile notifications. Put limitations on phone and computer use. Setting boundaries is important in all relationships. Set limits on time and place for device use. Limit computer use to a central location where you can periodically pop in and see the screen. If your children have phones for games and emergencies, they don’t need their device with them 24/7. Here are some ideas for a cellphone contract that can guide you in creating these boundaries. If you happen to find an indication of bullying on your child’s social sites, make sure to save the evidence. Many online sites make it easy to take down messages, so be sure to capture proof while you still can. This evidence might be vital in filing a complaint, so take a screenshot that includes the date and username of the bully. Block and report any user that shows signs of bullying directly from your child’s account. You can also file a complaint separate from your child’s account. Many popular social sites also allow you to file a report even if you don’t have your own account. Talk to your child about what happened. Discuss that bullying isn’t acceptable and reassure them that you are there to listen and answer any of their questions about the situation. By planning ahead and properly addressing the problem, you are teaching your child how to protect themselves in the future. But as a parent it’s up to you to be proactive and make sure they stick to the plan. Download the MamaBear Family Safety app, available for iPhones and Androids, to connect with your child’s social media accounts and ensure that they are engaging in a safe and healthy social media environment.